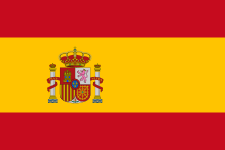 This name uses Spanish naming customs: the first or paternal family name is Núñez and the second or maternal family name is Feijóo. 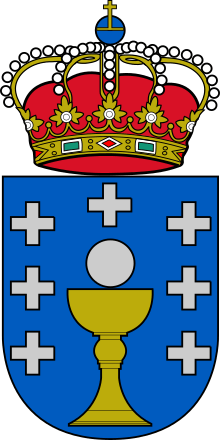 Alberto Núñez Feijóo (Spanish pronunciation: [alˈβerto ˈnuɲeθ feiˈxoo]; born 10 September 1961 in Ourense, Spain) is the 5th and current President of the Xunta of Galicia. 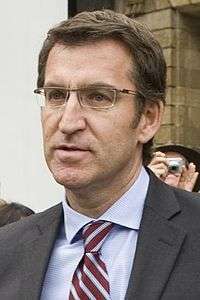 Núñez Feijóo became president in April 2009 following the regional parliamentary elections held in Galicia the previous month. He was officially named President of the Xunta by Royal Decree (Real Decreto 630/2009), issued by King Juan Carlos I, on 17 April 2009. In 2013 he became the subject of a scandal when pictures emerged of him holidaying in the 1990s with Marcial Dorado, a Galician drug dealer. Nuñez Feijóo claims having severed all links with Dorado after learning of his drug crimes. Alberto Núñez Feijóo was born at number 6 Avenida de Mesón in the village of Os Peares (Ourense, Galicia, Spain) on 10 September 1961. His father was Saturnino Núñez, a construction foreman, and his mother Sira Feijóo. Núñez Feijóo was educated at the Maristas de León boarding school. ↑ "Num 95 Sec. II.A." (PDF). Boletin Oficial del Estado (in Spanish). 18 April 2009. ↑ "Feijóo con el narco y otras siete malas compañías (FOTOS)". Huffington Post. 1 April 2013. Retrieved 29 January 2014. ↑ "Los vínculos del PP gallego con el contrabando y el narcotráfico". El Plural. 8 April 2013. Retrieved 29 January 2014. ↑ "Feijóo asegura que dejó de ver al contrabandista Dorado". El Periodico. 30 March 2013. Retrieved 29 January 2014. ↑ "El hijo del Saturnino y la Sira". El País.